Pretty light, ergonomic and massive upholstered barstool. 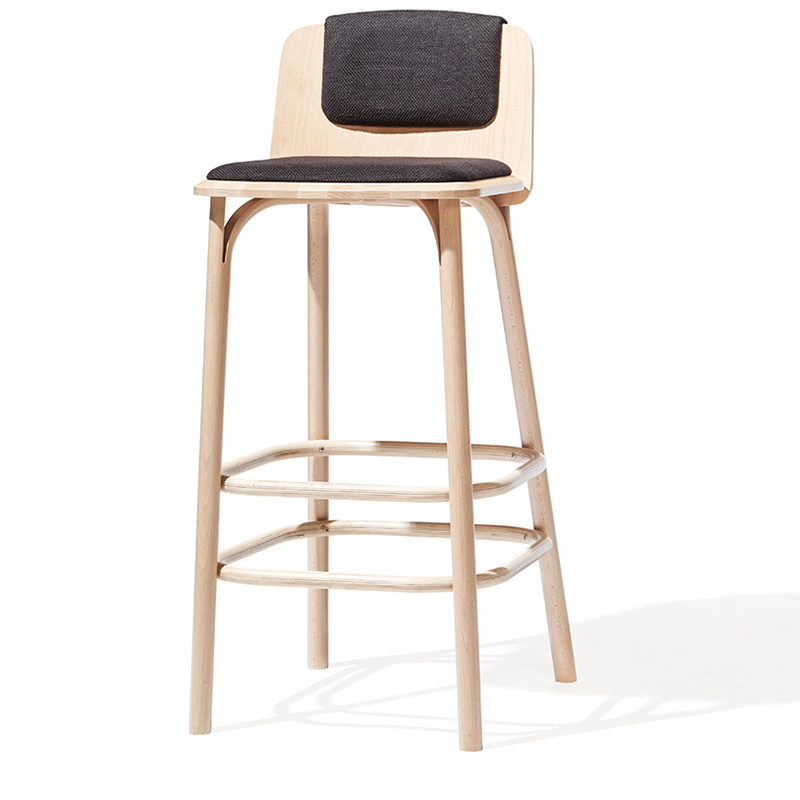 The higher backrest makes this barstool quite comfortable. Available with custom upholstery and finishes.